Engaged employees work with passion, dedication and creativity. One 2016 report from Gallup indicated that engaged employees account for only one-third of U.S. workforce. Disengaged employees cost US companies USD 450-550 billion in lost productivity each year. This scary statistic shows employers that they can’t afford to leave engagement as the status quo. Disengagement, attrition and turnover have historically been an issue for call centers and outsourcing organizations. You know which of your employees are engaged in their work, but how do you interact with those who have “checked out”? There is a reason that your employees are your company’s most valuable asset. They’re the reason for your organization’s success or failure. The essential first step to engaging your employees is to hear from your employees. 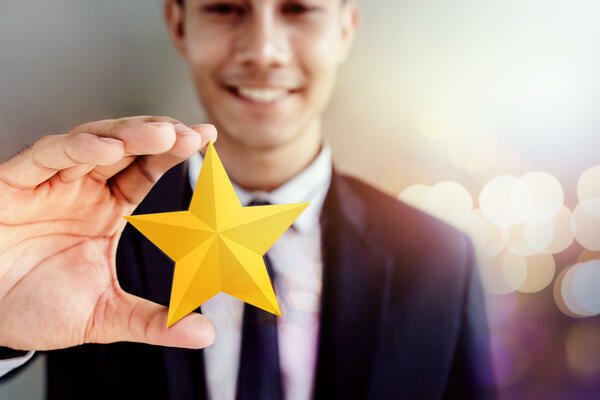 Net Promoter Scores can help your business gauge your customer’s experience by sorting your customers into Promoters, Passives and Detractors. Similarly, taking your employees’ pulse can help you identify who your Engaged, Apathetic, and Disengaged employees are. A pulse survey is also an excellent opportunity for your employees to provide details on what you could be doing better. More than gathering information from your employees, you must analyze and assess the feedback you receive. Put together a plan to enact changes to show your employees that you hear, and value, their opinions. There has been a lot of discussion in the industry about how contact centers can improve the quality of customer service and decrease employee burnout. The 2018 Contact Center Week (CCW) Executive Exchange addressed the importance of reducing the average speed of answer (ASA) in your call center. Placing customers in a waiting queue for a long time leaves you with irritated and annoyed customers when they finally reach an Agent. This frustration bleeds into the interactions with the Agent – providing them with extra on-the-job stress. Stressed employees burn out at a higher rate and are much more likely to disengage for the sake of their mental health. Taking steps to make sure you are decreasing ASA times protects your employees and improves the atmosphere of the company. Part of lowering your ASA is ensuring that you are maintaining the necessary staffing ratios. When attrition is high, your remaining loyal employees have added stresses placed on them. They want to support your success metrics and the service levels. Putting extra pressure on your remaining employees will not help you to keep them. You need to focus on hiring the right employees, not just filling seats. Hiring the wrong employee has a direct effect on your attrition. These employees turn over soon after they complete their training and probationary period. Hiring someone only to fill your seats means you will be looking to fill that same seat again. It is hard to keep your employees engaged if they remain with the organization for only 90 days. We can’t stress enough how essential it is to provide feedback to your employees. Recognizing and rewarding employees will help your employees feel like they are supporting the success of the company. Praise for non-monetary wins or gains, not only the monetary top-performers. Everyone has difficult months where it seems impossible to reach a financial goal. After all, that is why contact centers track so many different key performance indicators (KPIs). Do you have an employee who always takes time to make a new team member feel included? What about the employee who is never late returning from break? Acknowledging these behaviours encourages others to emulate them while making your employee feel like a valued member of the team, regardless of their performance. We are currently experiencing record-setting high employment rates globally. The sheer number of open positions available means that your candidates need to see something special. Find unique benefits to offer your employees – something that they will find useful and beneficial over their tenure with your organization. Offer your employees retirement savings plans or financial plans to help ease your employee’s financial stress. Run wellness plans like a gym membership or nutritional advice to counteract the sedentary nature of the job. Support your employees taking extra training or on-going learning to improve themselves, and this option has the bonus of you benefiting from that learning too. Focusing on employee engagement can help your employees avoid burnout and lower your turnover levels. Engaged employees are more productive and assist their company to outperform their competitors by up to 202%! Do you want to work with a company who understands the importance of an engaged employee? How about one who invests in new ways to engage with their employees? Click below to apply and come work with Bill Gosling Outsourcing. Natasha has been with Bill Gosling Outsourcing since 2002, starting as a Team Leader and progressing to Vice President, Talent Acquisitions and Engagement. More recently, Natasha took on the role of Vice President, Operations to lead First Party Outsourcing and Customer Care in our Newmarket office. Natasha’s role is to identify and manage the execution of operational strategies to ensure that they deliver operational efficiencies for her Clients. She works with her team provide coaching, mentoring and support to direct reports, enabling engagement, skills development and achievement of performance objectives.